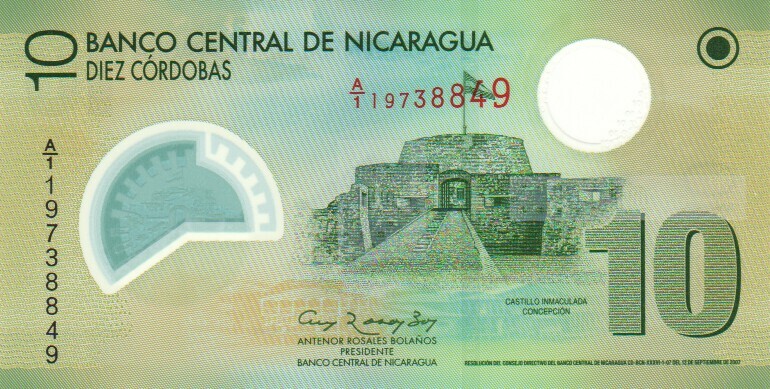 162 200,000 Cordobas (1990) UNC £9.00 ERROR NOTE - Inverted overprint on reverse of note. 162 200,000 Cordobas (1990) UNC £9.00 ERROR NOTE - overprint on front and also inverted overprint on reverse. 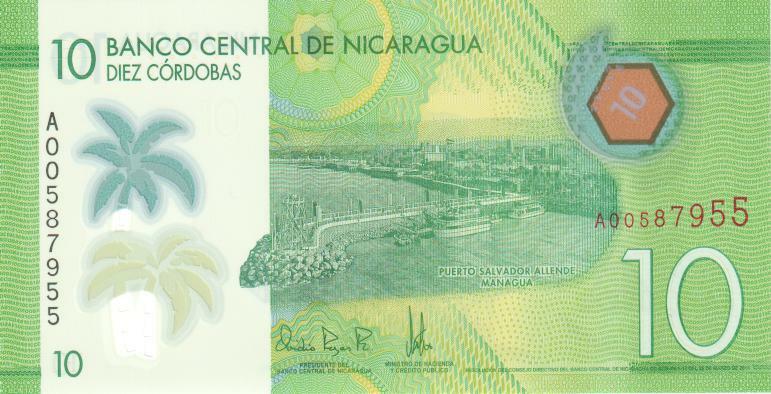 207 50 Cordobas 2010 - UNC £7.00 new design polymer note issued to commemorate the 50th anniversary of the Central Bank of Nicaragua.